Rural roads are often where the most severe multi-casualty incidents (MCIs) happen, owing to the greater speeds at which vehicles can travel — and particularly those carrying lots of people. The pre-dominantly rural location of such MCIs creates multiple challenges for locating the victims and dispatching resources as quickly as possible. Fortunately, Beacon has been built for just these challenges, and can be used as a standalone dispatch system for rural communities through which major roads travel through, or in conjunction with centralized response services that are posted along inter-city transport corridors in order to dispatch local community responders while the formal vehicles are en route. 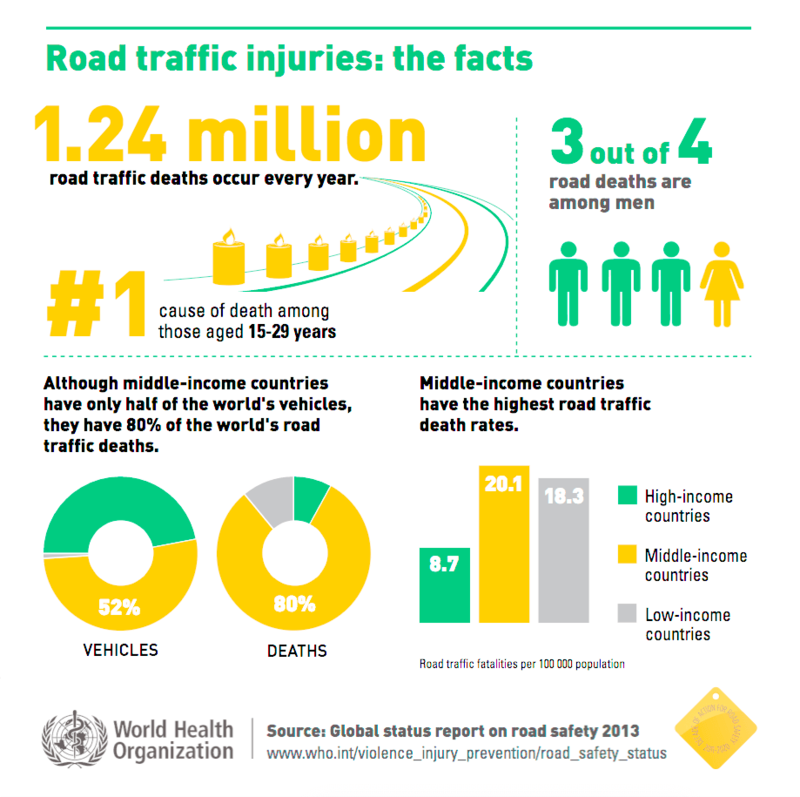 In urban areas where road traffic injuries are more common yet typically involve fewer victims, congested roads and communities with limited access make it difficult for ambulances to quickly respond where they’re needed. Beacon has been designed to address these issues, as well, allowing for a tiered response scheme that coordinates between formal vehicles and responders on motorcycles to get paramedics on-scene and determine the need for formal transport, thus reducing response times and also saving time and gas. In the same way, the Beacon platform also enables responders on foot to quickly locate patients in urban areas with no road access in order to determine the need for transport and, if so, to set up a rendezvous spot with the transport vehicles. Beacon’s built-in monitoring features also allow public safety and health agencies to identify “hot spots” where regular road traffic injuries are occurring, thus providing another level of real-time data available to both governments and local communities. A motor vehicle collision occurs and bystanders contact the local fire department or other public access number. The dispatcher sends out an alert to all nearby responders providing the incident location and requesting their assistance. As responders indicate their availability to assist, Beacon determines the nearest and most appropriate to dispatch, ensuring flexibility for high-volume catchment areas. On-scene, responders are able to request additional resources and coordinate among multiple agencies for mass-casualty incidents. Patients can be transported to any number of receiving facilities, provide advanced notification en route and include rendezvous with other resources for long-distance referrals. The patient is transferred to an appropriate facility; transport status and other updates are sent to the receiving hospital pre-departure and while en route. Send us an email to let us know how Beacon could help your operations today.